See, I told you, one of my characters was just gonna run into him. Bam. Just like that. Moon Howler and HarlequinRed, you're posting way to much WITHOUT the third person in your little group. I suggest you stop and let them post before leaving them so far behind that they aren't even included anymore. You two are getting close to the point of no return, it's not easy to post for your character when they were forgotten about for 6+ posts. Hey guys! I'm pulling Rook and Sergei from Brookshire! It was a fun run, but I want to try my luck in Aceros! I can't think of ANYTHING to make Sid's continued presence make sense, so I posted something to untie you guys. I would have much preferred that you followed the rules, however, and actually WAITED the couple of days it would've taken me to post, then I wouldn't be taking out a character I've been wanting to bring back in again. I'm actually a bit annoyed at you for this: I've been out all day every day for the past week, and I figured that I'd be able to slip in a post every 2 or 3 days for the brief period of time when I wasn't able to even touch my computer, but not if you guys have half a page of stuff for me to try and react to. Give others a chance to respond. This is really annoying, especially in the middle of the day/morning. (American time) Not everyone can be on at all times, and when you start leaving people's characters behind, it's a problem. If someone takes less than a day to post, you need to wait. Only when it's been several days is it acceptable to do something to free up your character. You two posted 7 times in one day, and that's after I made a post less than 12 hours before. Neko had to tell you two to stop, otherwise you'd have probably wandered off completely. I came back after a couple of days to find that you guys were FAR ahead of where I'd been, even though I'd told Moon Howler multiple times over Skype that I was really busy and would get to it when I had the time. 2 days is not an unreasonable wait time, and you didn't even wait 1. Not only that, but Moon Howler didn't even mention to me that you'd gone ahead on me over Skype, which would've at least been common courtesy if you were purposefully leaving me behind. So let me just state this for you: The rule is there for a reason, don't break it again. You didn't even give me a chance to respond there, let alone wait the couple of days for me to pop back in. Rushing ahead in a matter of hours isn't fair to do to ANY player, and I wouldn't have done it to you. How am I supposed to work cooperatively with you if I can't even trust you to give me time to post when things come up? Or even let me post in general? Edit: just to be clear. Harlequin, this isn't me telling you to leave or anything. You're roleplaying just fine, but you NEED to be more mindful of who else is in your group. Moon Howler, you're alot more experienced and should've known better, or at least TOLD ME. Hi Rook. Why are you doing this? Mod Edit: Please do not double-post. If you need to add new information to a thread and yours is the most recent comment, you may use the edit button in its upper-right corner. Last edited by RockstarRaccoon on Tue May 29, 2012 3:06 am, edited 1 time in total. Yeah sorry about that I didn't know you'd be out for that long. But to be frank if you told The Moon Howler this and if he stopped posting I would've stopped posting in turn. I can't read minds here. Not to throw blame around though mustve been a miscommunication or something. [04:08] <AJ> "I can't read minds here." [04:08] <AJ> he apparently can't read rules either. This was mentioned in the rules, which ere written after some people had done this a few times. It doesn't matter that Moon Howler kept posting like that, you shouldn't've done it either. Good morning, everyone. RockstarRaccoon is correct. It is your responsibility to read and familiarize yourself with the neighborhood rules. This is not the first time, The Moon Howler, I recall having a discussion with you over leaving someone behind. Please do not do so again; otherwise, a warning level will be added to your account. Harlequin Red, as this is your first infraction, you get off with a stern advisement to ensure you understand all forum, section, and neighborhood rules. I know it is easy to get carried away, but the rules are there for a reason. RockstarRaccoon, role playing section rules dictate one should announce protracted absence in the Main Out-of-Character thread. If this had been done, we may have avoided the situation we find ourselves in. Not to diminish the others' violations of neighborhood rules, but please make every effort to let us know when you are away. If you are unable to post, perhaps someone would be willing to make an announcement for you. I feel this is a valuable learning experience and trust there will be no further need for moderators to intervene. A communication breakdown can mean only one thing - invasion. Wait, that's the wrong movie. Let's all strive for harmony, hmm? Feel free to PM me directly with any questions or concerns, as your section mods are mostly out of service at the moment. or PM me, as I'm a mod that's highly active here. Ok, because Moon Howler asked, I posted something in response to EVERYTHING that happened. I'm gonna go ahead and go with this for now, but if you guys rush ahead again, I'm gonna have him leave. I have to be somewhere in an hour, so I won't be on again until later tonight. Like, maybe 12:00. I'll post again then if you guys have posted. Where is Alex's party taking place (his house or in a different place)? I couldn't quite tell in the earlier posts. Location: Yet another floating island guarded by harpies. Not sure why, but for some reason my mind was telling me to not log on today, as if logging on today would cause my computer to implode and rip a hole in the fabric of reality......in a side not....I think that fabric is a very fancy tapestry....that is all. He will never laugh again. Is Alex hitting on Alana? cause they would make a good couple: both their RPers are prone to disappearance without warning. *starts kicking Simple repeatedly* ABSENCE, ABSENCE!! Says the king of only RPing one character at a time. well, that leaves Mystic I guess. because Rion and Alana are both in groups with people Butch knows, so I'd assume you'd say you were talking to them instead. Edit: basically, Butch is walking AWAY from Alexander and TOWARDS some random pet he doesn't know. Doesn't matter who. Mod Edit: Please do not evade the profanity filter. Is it just me, or is YSF really slow? Feels as if myself, Rockstar, Raz, Silent, and leaf are the only real active members at the moment. 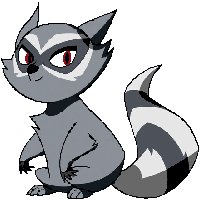 I'd be active but Raccoon is putting my character on hold until the YsF merger happens. and yes, that's going really slow. In the mean time, I'm going to TRY and keep posting, but this is going to hog some of my time, and I'm also going to be away all weekend to visit relatives. July 8th through July 30th I'll be on my vacation and internetually unreachable and junk. So, I'll be inactive. You don't really need to get rid of him, if you don't want. Sam doesn't exactly have anyone else to interact with anyways, and the RP isn't moving all that fast. yeah, but that's a pretty long period of time. another option is giving temporary control of your character to another player. honestly I forgot about you. sorry. I guess you just disappear often enough that I'm used to it or something.